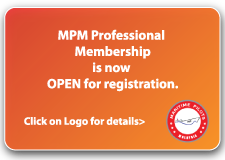 MPM is a national professional organisation registered with the Registrar of Society Malaysia that functions to represent the interest of Maritime Pilot's professionalism. b.) 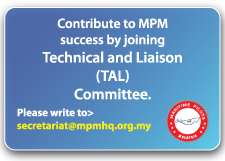 Collaborate and co-operate with the Federal Government and its agencies in implementing policies related to Maritime Pilotage. c.) Collaborate and co-operate with port operators and other maritime related stakeholders. d.) Conduct research and development, organise activity related to Maritime Pilotage profession. 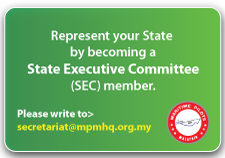 e.) Representation of Malaysia Maritime Pilots' interest locally and internationally. f.) Safety of member while conducting pilotage. g.) Disseminate news and information related to Maritime Pilotage. WHO IS A MARITIME PILOT? In the perspective of safety, Maritime Pilots, are arguably the most important and essential members in the maritime industry. The professionalism of maritime pilots are employed throughout the world to facilitate the safe, efficient and highly precision movement of large ship in congested, confined and even environmentally sensitive waterways. Maritime pilots in Malaysia, are ex-mariners who command ships as a master or senior officer who had vast experiences in seafaring. They have to undergo rigorous training and pass numerous examination, as a trainee pilot spanning an average duration of 8 years. Upon the completion and success of passing both oral and written examinations sanctioned by the Licensing Authority, atested and prudent competent, will then the respective pilot attain his Unrestricted Pilot License. The holders of Unrestricted Pilot License, the respective Maritime Pilots are qualified to pilot ships of any size and length with no limitation to gross tonnage. Maritime pilots in Malaysia have acute awareness of risk associated with the movement of large ships in confined waterways. Subjected to discharge his professionalism within highly restricted operational limits, and performs under very small margin of error.